Fashion Polish: New at Color4Nails : Fair Maiden Swords & Lace A Renaissance Fantasy Collection! 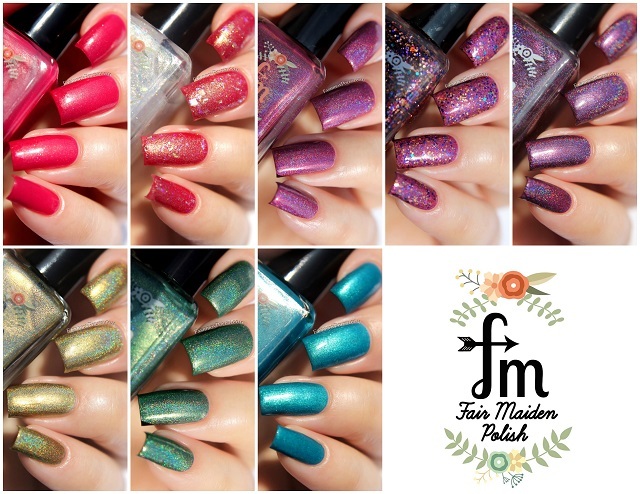 New at Color4Nails : Fair Maiden Swords & Lace A Renaissance Fantasy Collection! "This 8 piece collection includes rich fall colors designed in traditional Fair Maiden finishes including linear holos, shimmers a glitter and an iridescent flake topper. " Formula was pretty good on the entire collection. I used 2 coats and no topcoat in all of my swatches except for the glitters which are used as one-coat toppers. Pictures taken in direct sunlight. High Priestess is a strawberry red cream with gold and pink to orange shifting shimmer. Crystal Ball is a multi color shifting iridescent flake topper with gold shimmer. Shown here over High Priestess. Pirate Queen is a grape magenta linear holographic. 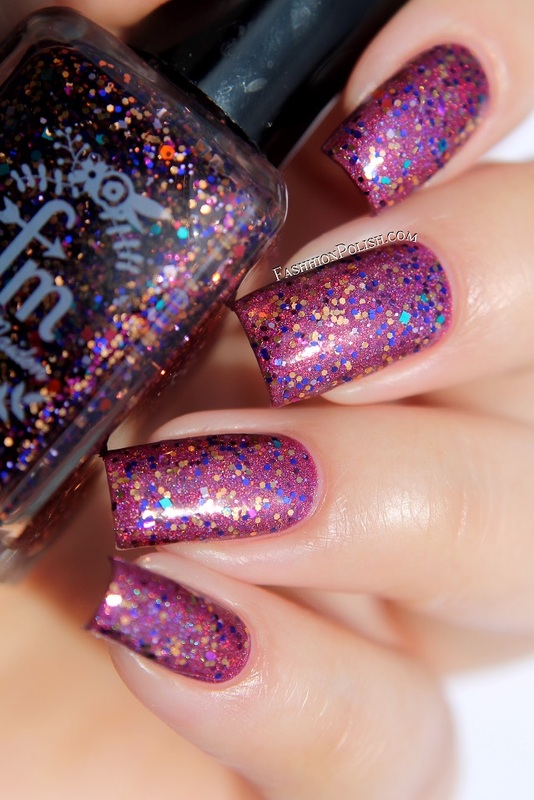 Belly Dancer is a dense jewel toned glitter topper with dominant bronze and a touch of dark blue, green, pink, red and purple. 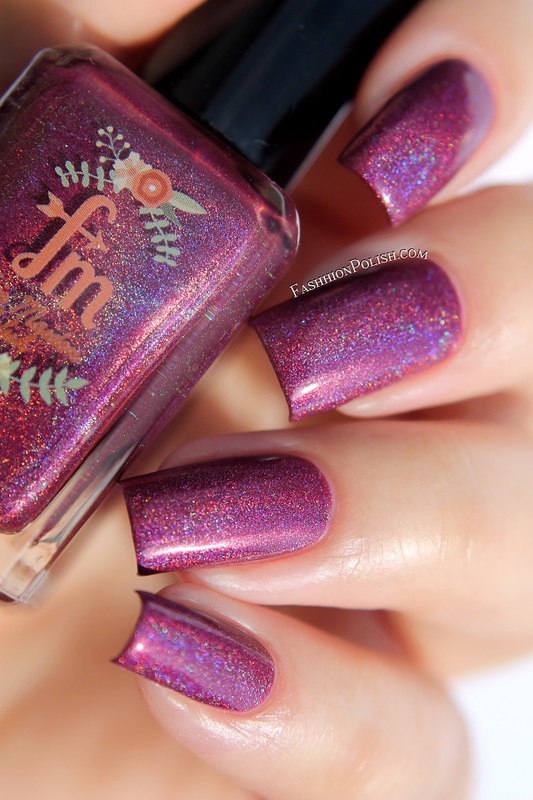 Just a Mirage is a is a deep burgundy wine linear holo. The Archeress is a cool toned metallic gold holo. 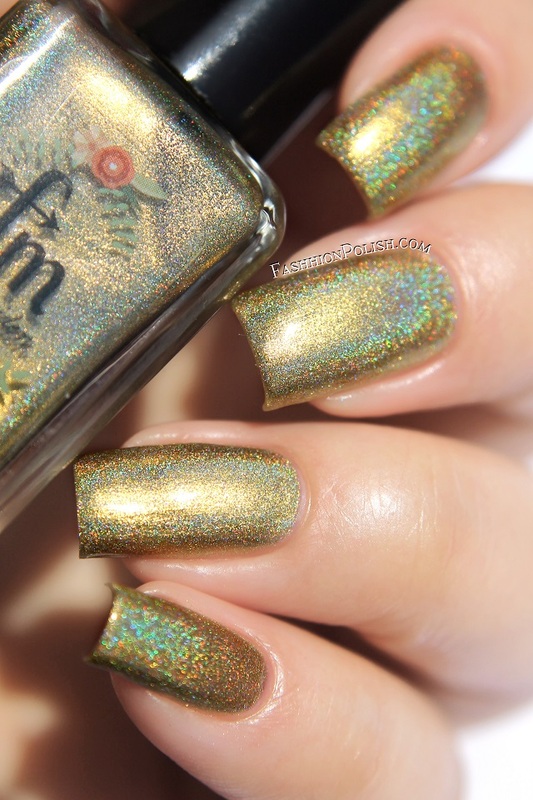 Snake Charmer is a deep emerald green holo with golden green shimmer. Masquerade is a vivid aqua with blue green shimmer. 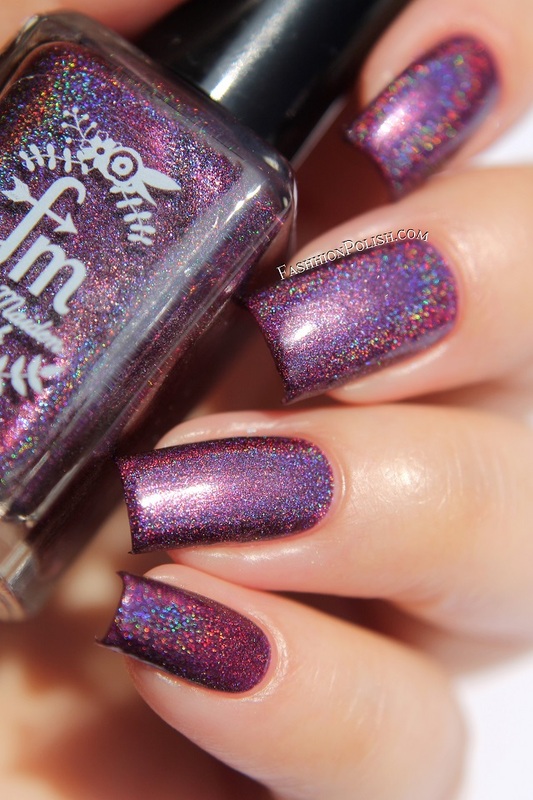 I received the Fair Maiden Swords & Lace A Renaissance Fantasy from Color4Nails.com. Price vary from $9 to $11 (international shipping available).